Nice Post from a Parent! “Wondering what to add to your child’s Easter basket this year? I would strongly suggest these books written by Sherrill S. Cannon!!! Seriously, these books are written in the perfect way that children can understand and learn some great coping skills!! The illustrations are just beautiful, bright and colorful that will hold the attention of your children. Have a tiny ankle-nipper too young to read? Perfect for bedtime or just down-time reading by any adult too!! Bond with your child, and teach them to enjoy books like you did when you were young. Nothing beats hugs and quiet time reading..
Peter is a Rabbit! Happy Easter!! This entry was posted in Uncategorized on February 27, 2016 by Sherrill S. Cannon. Reading to the Kids..my favorite activity! 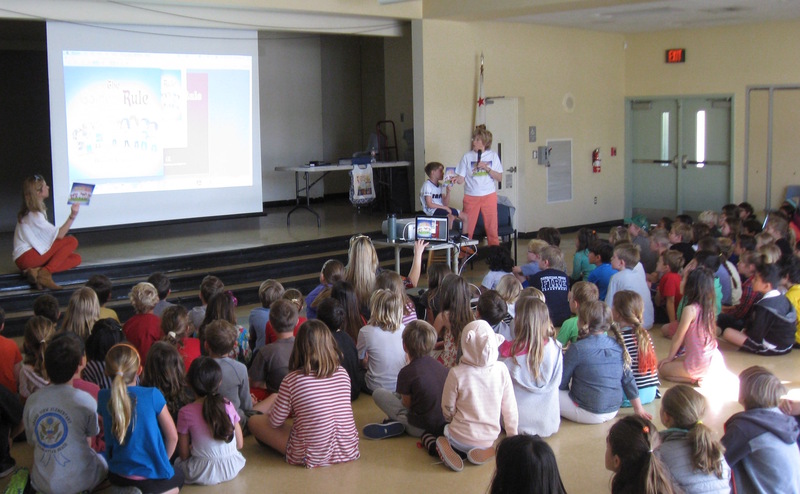 The students also liked the fact that the Grand View is the name of the school in The Golden Rule. Grand View was named a Blue Ribbon school in 2015, which is quite an honor. Thank you, Grand View, for a grand morning…!!! 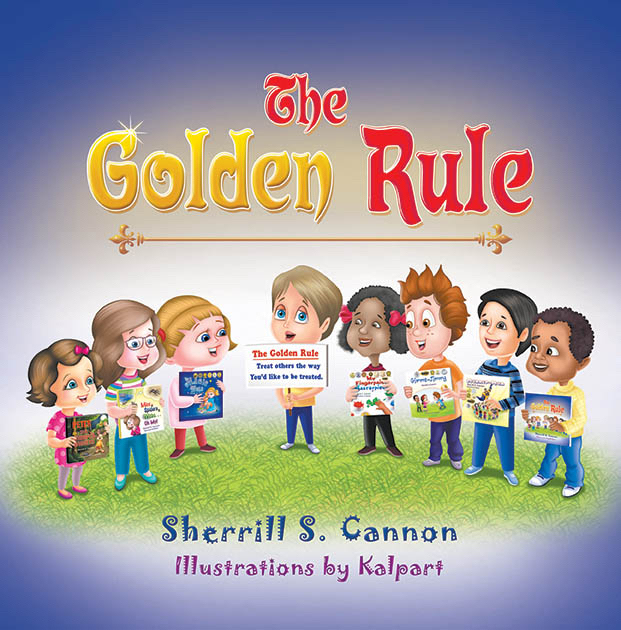 This entry was posted in Book Reading, Bullying, Children's Picturebook, Consideration for Others, Golden Rule, Kid Fans, Manners, Picture Book, sherrill s. Cannon, Uncategorized on February 26, 2016 by Sherrill S. Cannon. Please meet Abby, my Future-Author Kid Reviewer. Short and sweet…I predict she will be writing her own books in the future! This is Abby’s first review for me, although her older sister Olivia has been one of my fans for quite a few years…and sharing the books with Abby. 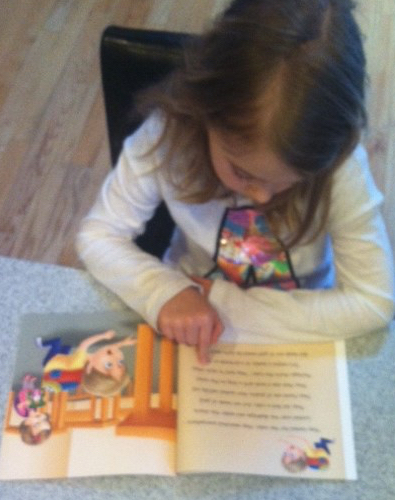 It’s fun to have sisters involved, and it’s nice to see Abby is now reading them herself! 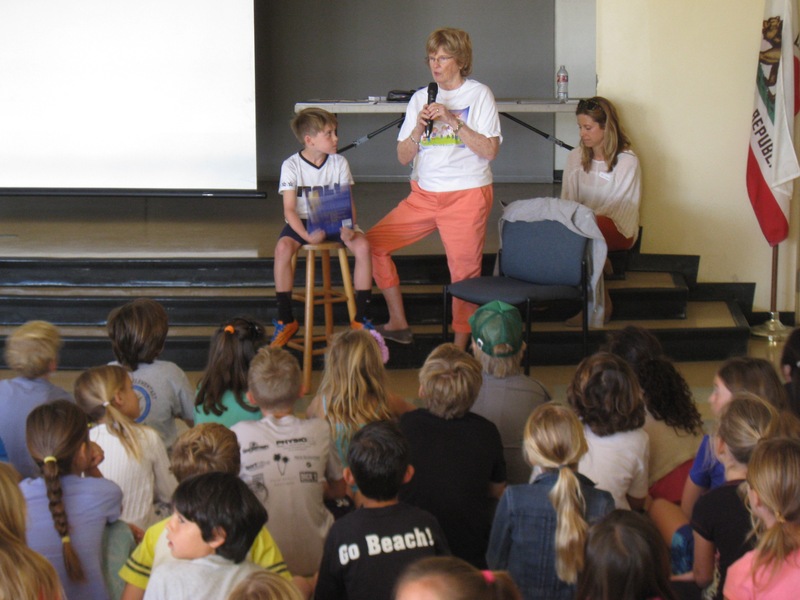 This entry was posted in Behavior, Bullying, Children's Picturebook, Consideration for Others, Golden Rule, Kid Fans, Manners, Picture Book, Review, Reviews, sherrill s. Cannon, Uncategorized on February 25, 2016 by Sherrill S. Cannon. Daisy is one of my CureJM kids as well. She faces monthly infusions and debilitating reactions, causing her to suffer greatly and have to miss school frequently. One day she announced to her mother that she was so happy that she was able to get though an entire day at school “just like a regular kid”. 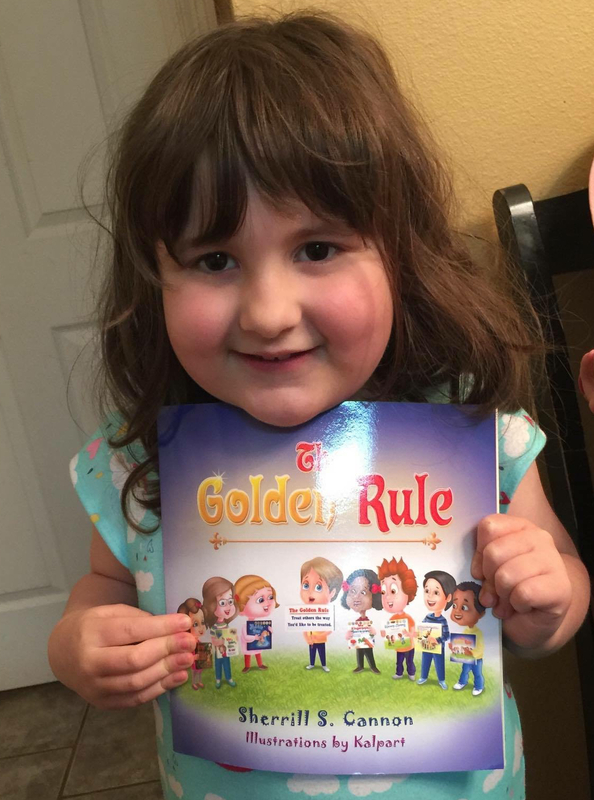 So Daisy and many of my other Kid Reviewers can benefit from participation in my CureJM Fundraiser at CureJM Fundraiser where 50% of the cost of the books goes to the CureJM Foundation. Please help us find a cure!! This entry was posted in Behavior, Bullying, Children's Picturebook, Consideration for Others, CureJM, Fundraising, Golden Rule, Kid Fans, Manners, Myositis, Picture Book, Review, Reviews, sherrill s. Cannon on February 24, 2016 by Sherrill S. Cannon. 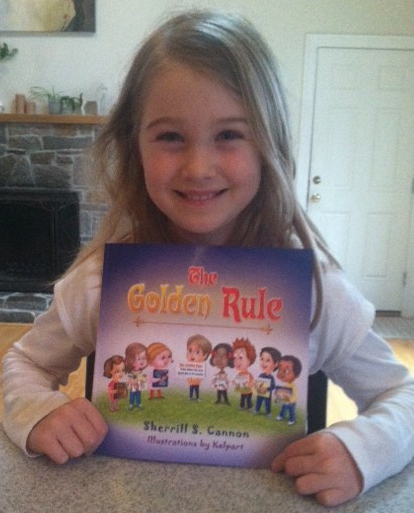 I’m happy to share the Video Trailer for The Golden Rule! This entry was posted in Uncategorized on February 22, 2016 by Sherrill S. Cannon. 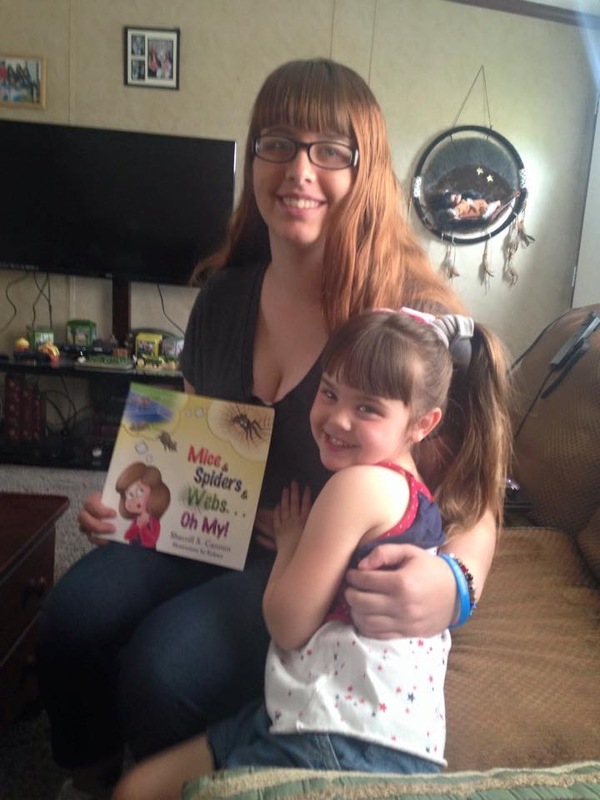 Please meet Aly, my creative Kid Reviewer! Her mother adds, “Can you understand what it says? 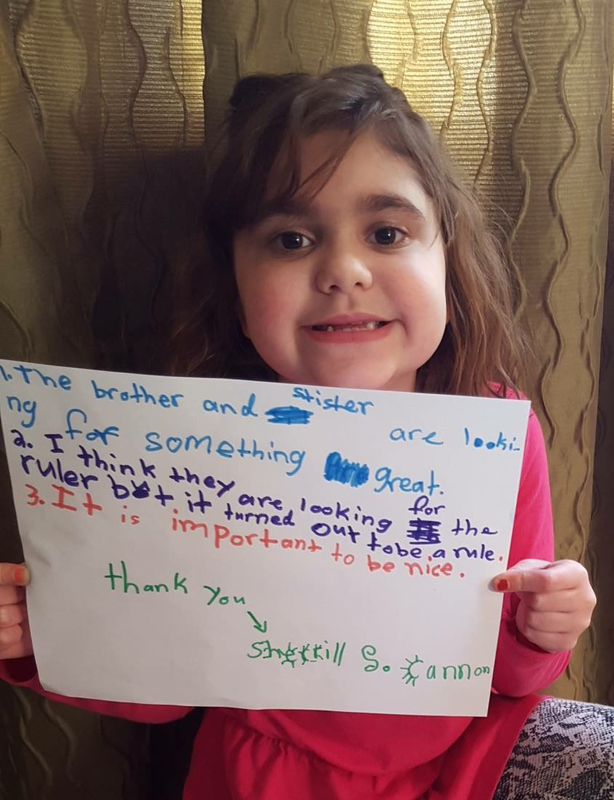 The brother and sister are looking for something great. Thank You, Aly! I love your review… and you!!! This entry was posted in Art, Bullying, Children's Picturebook, Consideration for Others, CureJM, Golden Rule, Kid Fans, Manners, Myositis, Picture Book, Review, Reviews, sherrill s. Cannon, Uncategorized on February 21, 2016 by Sherrill S. Cannon. Introducing Cassie, my Teen Jr. Reviewer!! Please meet Cassie, my Teen Jr. Reviewer, who has reviewed my last three books. She was also in one of the illustrations in My Fingerpaint Masterpiece as a teenager spectator. Not only is Cassie another of my Cure JM kids, requiring monthly medical infusions, but she also suffers from Juvenile Arthritis, and has hearing loss in one of her ears. In spite of all of this, she has a wonderfully positive and inspirational attitude. 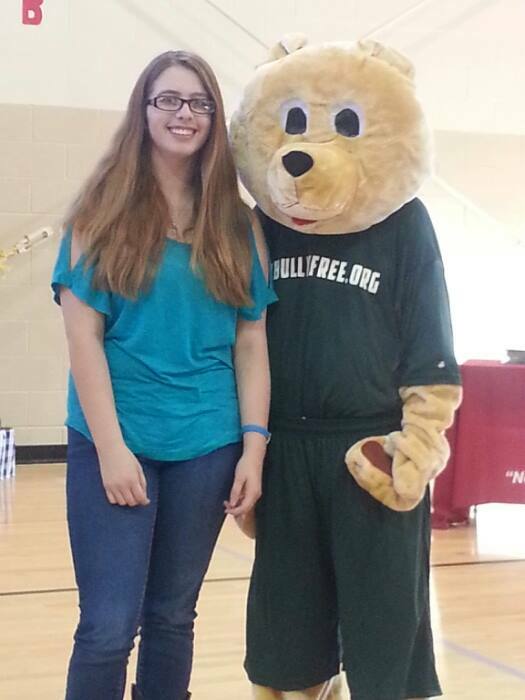 She was also recently part of the Texas Jr Miss pageant, and is a spokesperson for the Imbullyfree organization. Cassandra is truly beautiful, inside and out!! 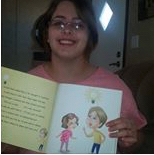 Thanks so much, Cassie for endorsing my books. 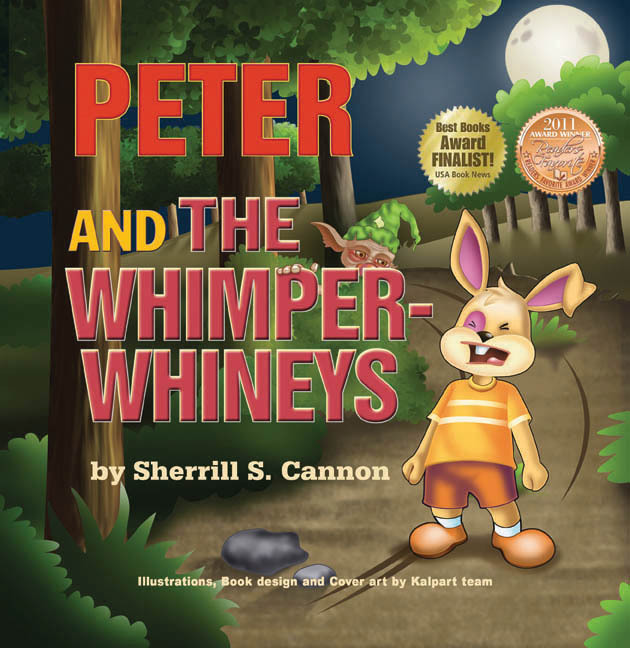 This entry was posted in Award-Winning, Bullying, Children's Picturebook, Consideration for Others, CureJM, Fingerpaint, Golden Rule, imbullyfree, Kid Fans, Manners, Myositis, Picture Book, Review, Reviews, sherrill s. Cannon, Uncategorized on February 20, 2016 by Sherrill S. Cannon.